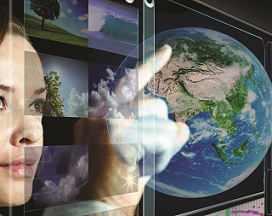 Open education is a reality going stronger between involved agents in teaching in this digital era. Its development is a priority in order to get a quality and equality education. What is the present situation? What problems do we find? 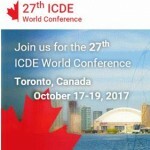 Today starts the XXVI ICDE World Conference (International Council for Open and Distance Education – ICDE 2017), that will gather in Toronto people and institutions from all over the world to stablish a common agenda about open, flexible and online education. The Research Institute for Innovation & Technology in Education (UNIR iTED) of Universidad Internacional de La Rioja (UNIR) will actively participate in the Conference and has thoroughly work for a long time with ICDE and UNESCO/UNITWIN Chairs Programme. As part of the Conference it will take place the Symposium of Chairs on Open Educational Resourcers (UNESCO, ICDE and Commonwealth of Learning). In the symposium will participate, among others, the experts Daniel Burgos (director of UNIR iTED and director of the UNESCO Chair on eLearning and of the ICDE Chair on Open Educational Resources at UNIR), Martin Weller (Open Education UK), Jane Agbu (National Open University of Nigeria) and Rory McGreal (Athabasca University, Canada). This experts will analyze the OER status of the issue. Burgos will stand for the integration of both formal and non formal learning as the key for a strong development in education. This celebration takes place only 1 month after the 2nd World Open Educational Resources Congress in Ljubljana, which adopted the Ljibljana OER Action Plan. Burgos will also participate in an expert pannel giving his vision about how transgenic learning can modify pieces of the educational chain and quickly improve them. In the second day of the World Conference, Daniel Burgos will assist to the President’s and Rector’s Meeting, a forum for sharing practices and knowledge and for information exchange for the senior leadership of higher education organizations and institutions engaged in online, open and flexible education. The forum, chaired by ICDE president, Mandla S. Makhanya, enables for a frank an open peer-to-peer discussion on the challenges, opportunities and the future developments of online, distance, open and flexible education. Finally, during this Conference and the Ibero-American Meeting about OER, Ibero-American experts, including UNIR iTED presenting an analysis about eLearning and OER situation in Spain and Europe, will analyze the situation of Open Education in different regions of Ibero-America. They will work for days to agree a thematic agenda with common problems that concerned experts, educators and directors of the region.